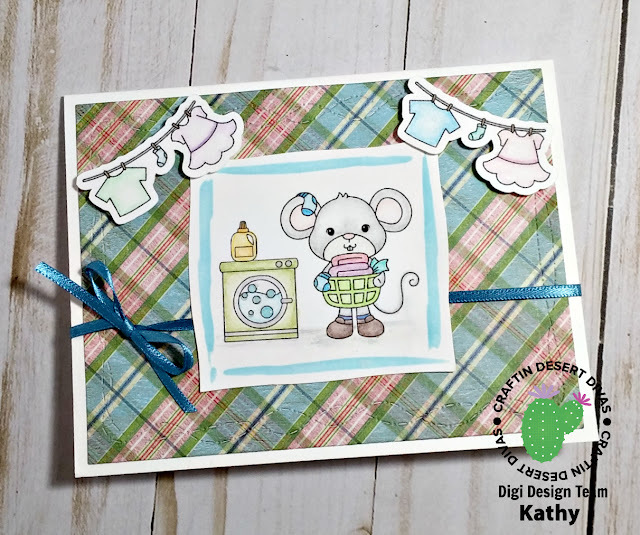 Today's card is the first in a series I made using the new February digital release stamp set from Craftin' Desert Divas call "Mouse House". 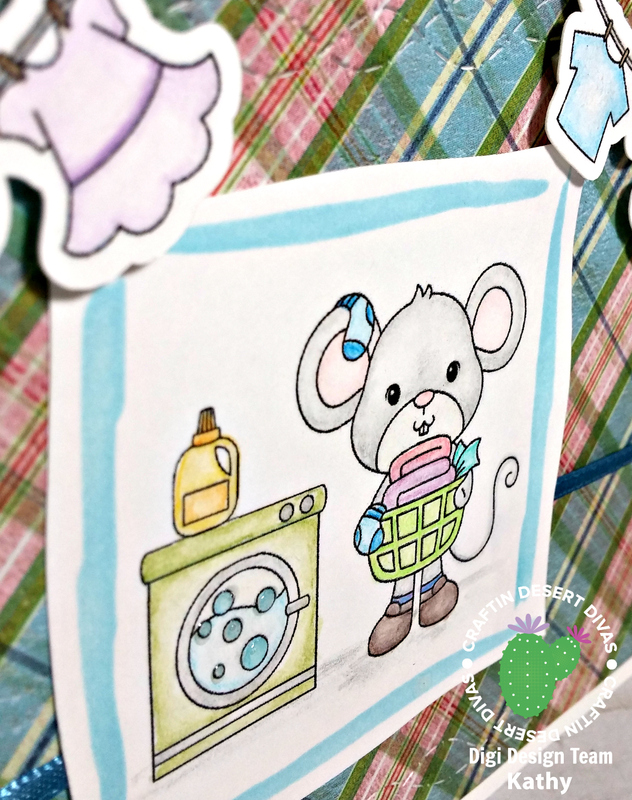 I also used the new Sorted Shapes 2 Stencil for the blue frame around the main image. Along with the largest die from the Crazy Stitched Frame Dies for the background layer of patterned paper. 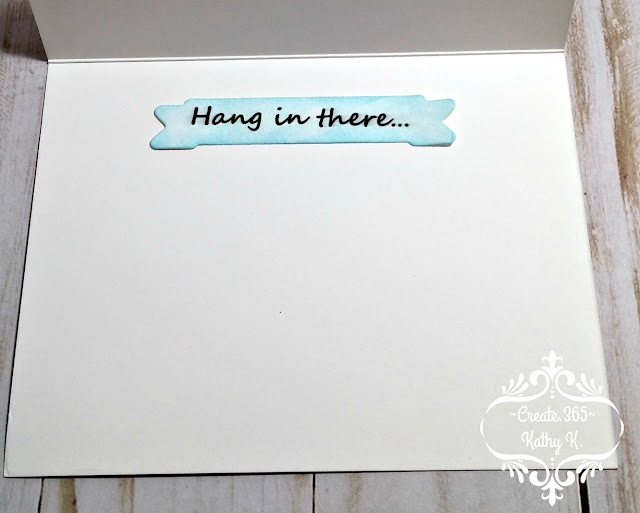 The inside sentiment was printed out from the computer and die cut using a banner shape before watercoloring with some blue to help it stand out from the white A2 sized card. All images were colored using watercolor pencils and a blender pen. That's it for me today ~ have a great weekend!